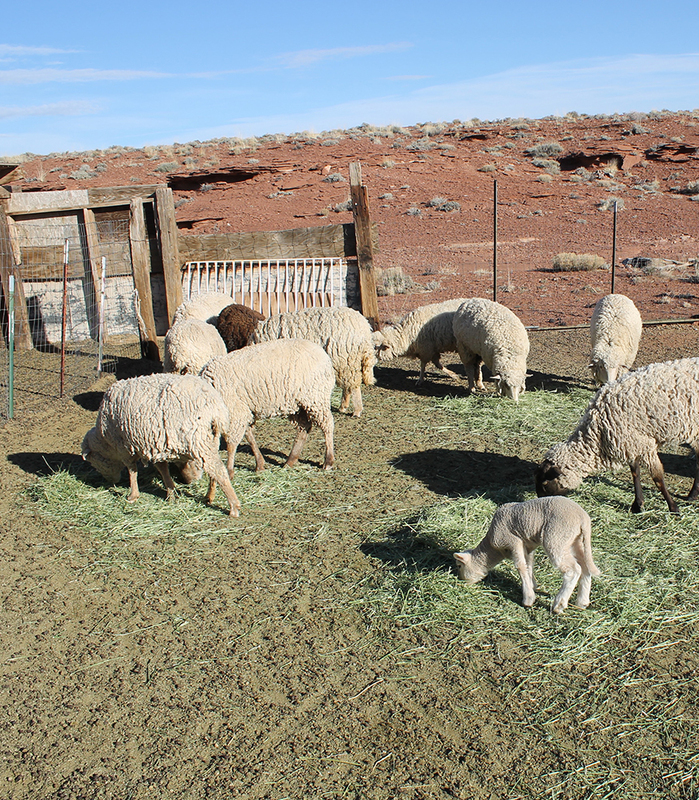 Growing food in the Southwest — where the soil is rocky, sun scorching, ground dry, and growing season short — is hard. Yet native people have been growing food here for millennia. Their understanding of the region’s water, wind, soil, plants, and insects is rooted in the landscape itself, with dryland farming practices passed down from generation to generation. We support local farmers who are doing what they’ve always done — growing crops for their families and communities. We help families prep, weed, and water their plots in the Tuba City/Moenkopi area. 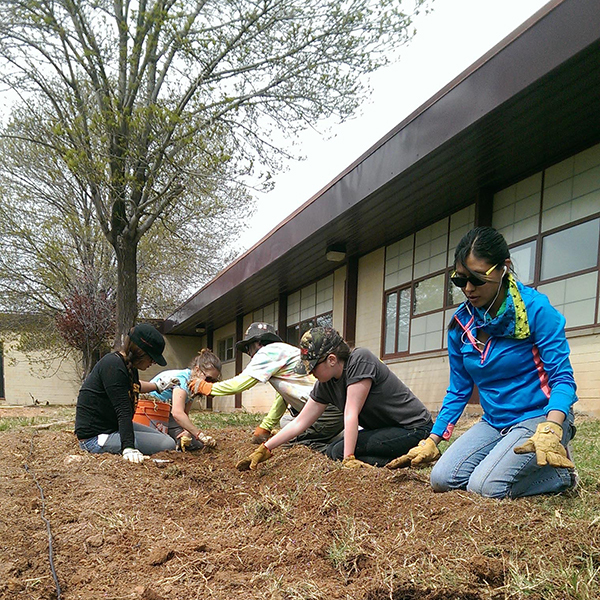 We help keep gardens tidy at the Tuba City Charter School and Moenkopi Day School. 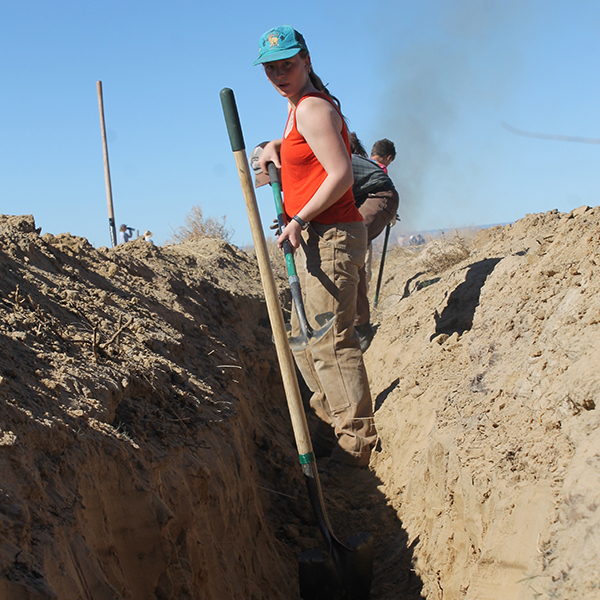 We help farmers dig out irrigation ditches, burn weeds, and prepare fields for planting. 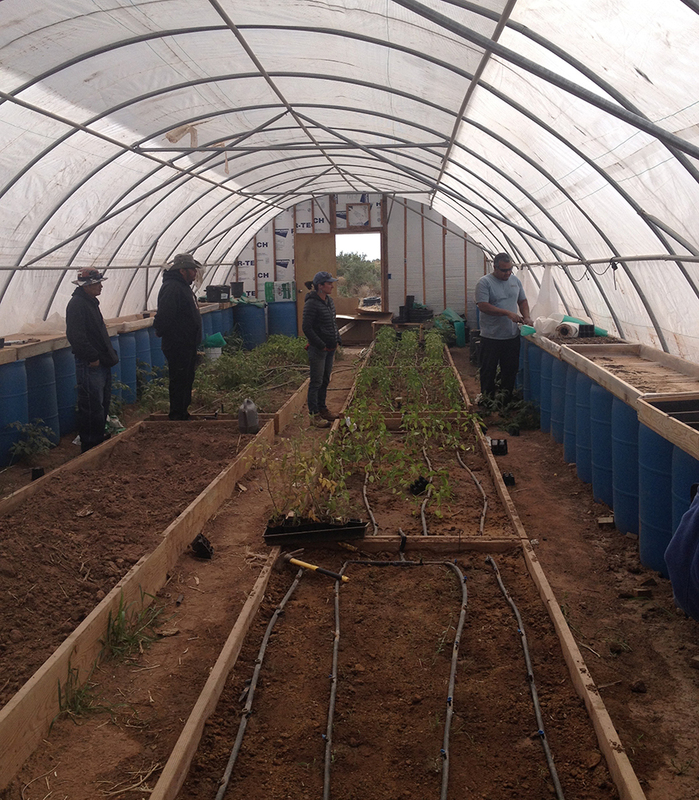 Native farmers make a little water go a long way. They use drought resistant heirloom seeds, collect rainwater, and trap moisture in the soil. When planting, they poke holes deep in the ground with planting sticks, drop their seeds in, and backfill the holes to minimize soil disturbance and water loss to evaporation. Dryland farming techniques vary between tribes. The Hopi, for example, plant their cornfields in staggered rows near washes and arroyos, counting on natural runoff and monsoon rains to water their crops. 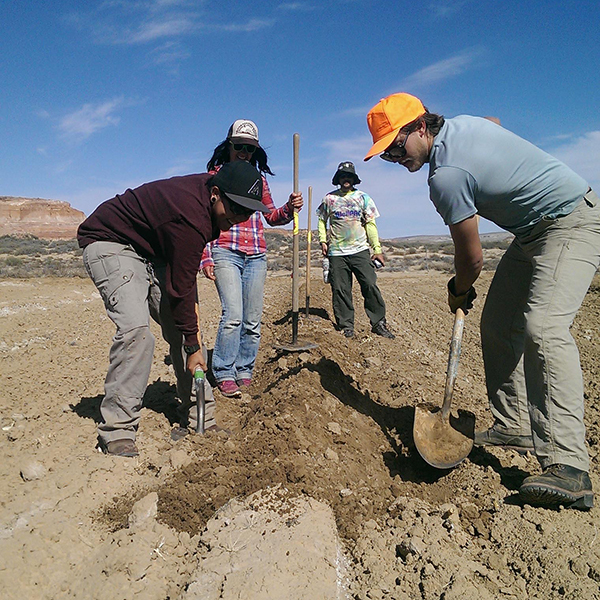 The Navajo plant their seeds deep — eight to nine inches below ground — to reach the moist soil. 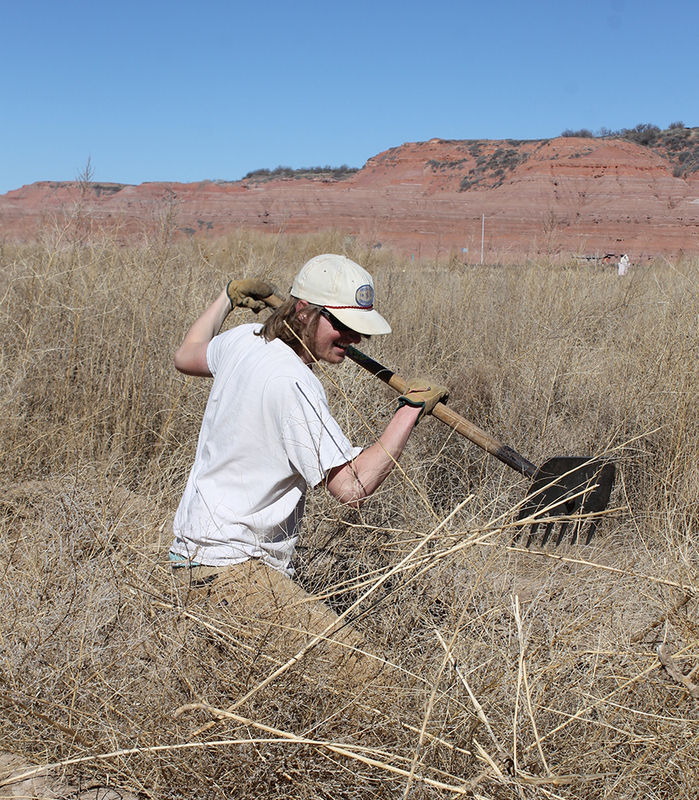 The Zuni use terraced farming and waffle garden beds, where water spills from one depression to the next. These and other dryland farming practices have allowed native people to flourish for thousands of years. The farmers in Kerley Valley flood irrigate their fields once a year in the spring. 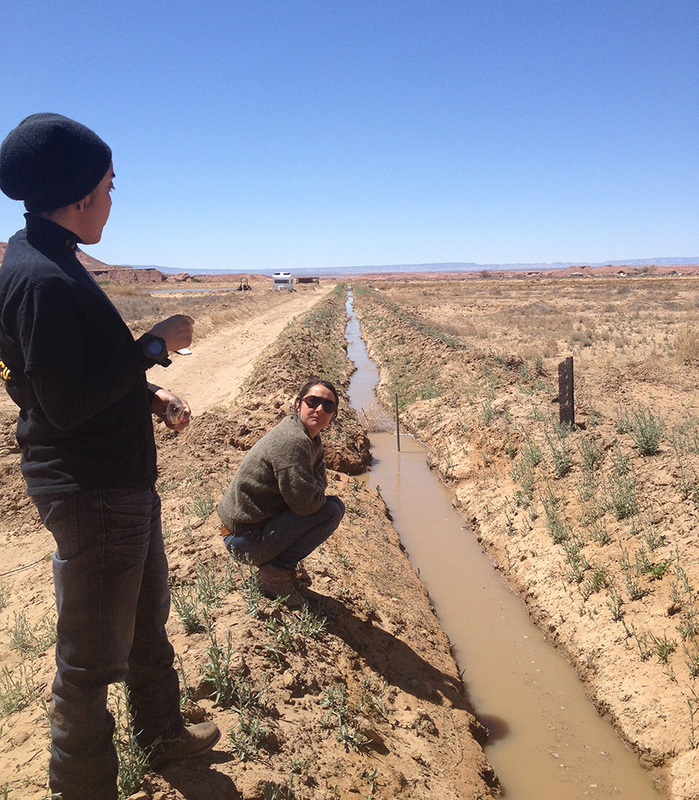 We help them clear irrigation ditches of accumulated sand and dirt so that water can flood across their fields and soak into the earth prior to planting. From removing corn stalks, to pulling weeds, we help farmers get their fields, plots, and gardens ready for the planting season. They have the know-how. We just provide some muscle to help get the job done. Why care about food and farming? 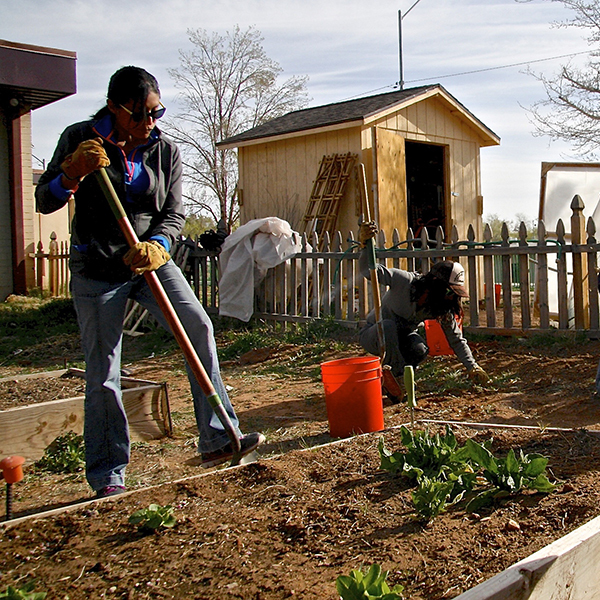 We have a lot to learn from Native American farmers. 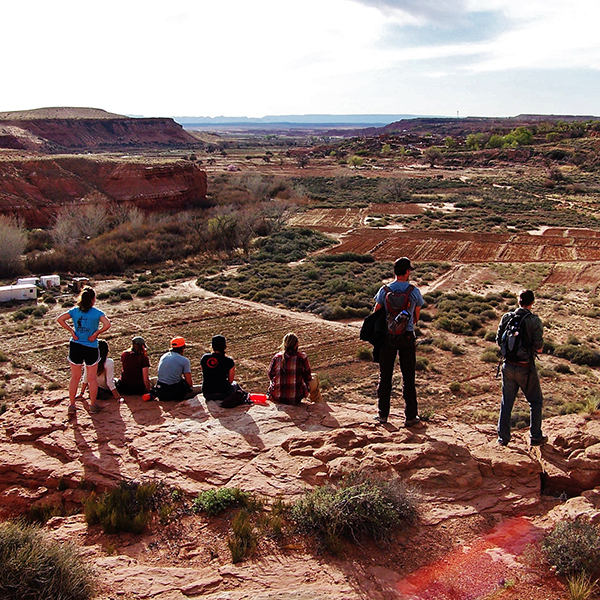 Tribes have tremendous expertise about food systems, ecology, and water sources on the Colorado Plateau. They've endured droughts and scarce times. Preserving, listening to, and honoring their traditional knowledge can help us address the impacts of climate change both on and off the reservations, as temperatures rise and rains become less predictable across the Southwest.